It's been nearly two weeks since the initial announcement, but Amazon has finally got around to offering pre-orders for the Pokemon: Let's Go, Pikachu! and Pokemon: Let's Go, Eevee! Nintendo Switch bundles. You can reserve the bundle of your choice right here while supplies last. Shipment is slated for November 16th — just in time for the holiday season. It's covered by Amazon's pre-order guarantee, so you won't be charged until the bundle ships and you'll automatically get any discounts that occur between the time you order and the release date. 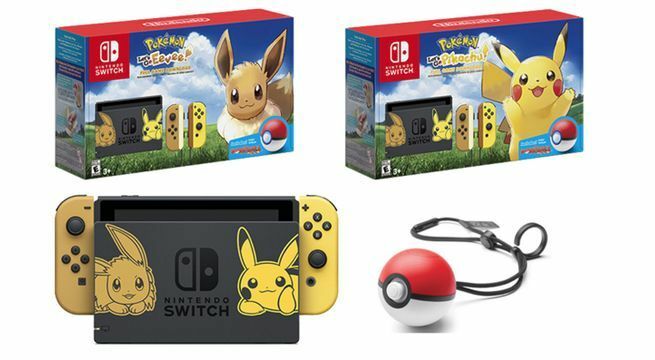 The bundles include a Nintendo Switch, a Pokemon Pikachu and Eevee-themed dock and matching Joy-Con controllers, the Poke Ball Plus accessory, and a download code for the game listed on the box. If they sell out on Amazon, you can also place a pre-order at Best Buy and at GameStop. The $399.99 price tag will save you $10 over buying the items individually (the Pokemon-themed Switch isn't sold separately). The discount is the same if you get a Nintendo Switch and a Poke Ball Plus Pack but, again, you won't be getting that Pokemon Switch. Nintendo confirmed via a recent Nintendo Direct event that a Super Smash Bros. 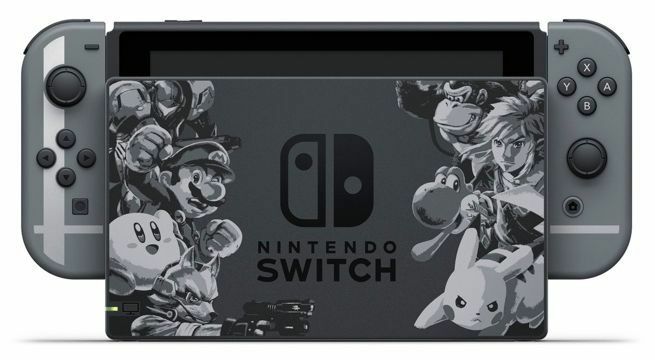 Ultimate Nintendo Switch bundle would arrive on November 2nd complete with a branded dock, Joy-Cons, and a download code for the game. At the time of writing, pre-orders are available at GameStop and Best Buy for $359.99. Once again, Amazon is slow to get their pre-orders up and running, but it's probably a good idea to jump on this now because it's pretty much a lock to be the most popular Switch bundle of the holiday season. Keep in mind that My Best Buy members are eligible for $10 in rewards when they pre-order, which is as good a deal as we're likely to get on this bundle (becoming a My Best Buy member is free). It's also important to point out that the download code won't be valid until Super Smash Bros. Ultimate launches on December 7th.